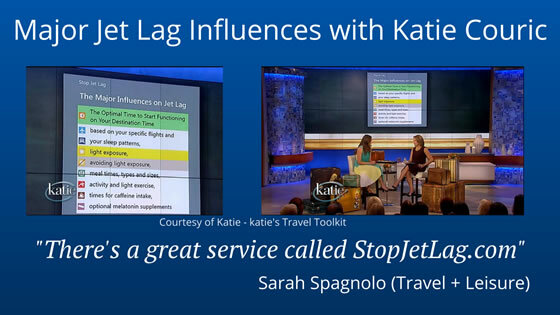 Sarah Spagnolo from Travel+Leisure discusses the major influences on jet lag with Katie Couric. 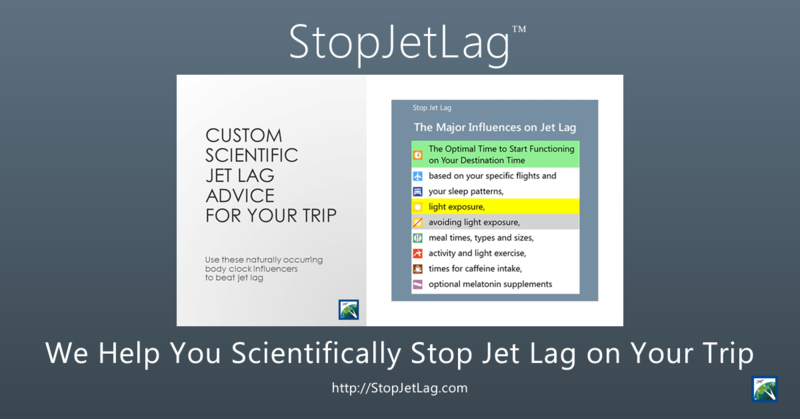 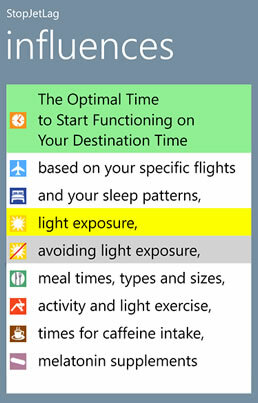 Learn how Stop Jet Lag uses them to make your trip more productive and enjoyable by avoiding the down time caused by jet lag. 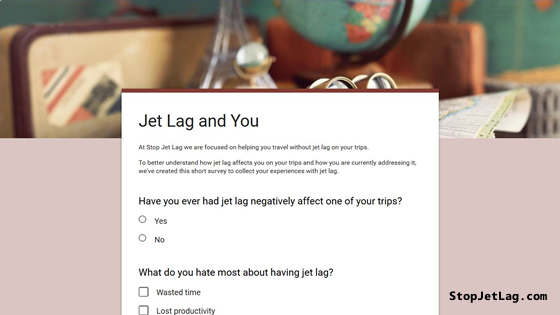 Scientific research has proven that correct timing for the use of bright light exposure, melatonin supplements, food, caffeine, and exercise plus minimizing sleep deprivation is key to avoiding jet lag. 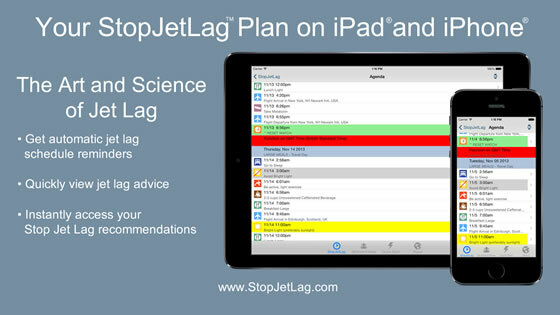 It is a well known fact that consuming at least 2/3 of your protein in your breakfast and lunch meals is conducive to beating jet lag.